I was counseling a patient who had failed multiple IVF cycles. She was completely fed-up and wanted me to do surrogacy for her. We have an active surrogacy program, and it's very profitable for me to offer this option, because it’s far more expensive than a regular IVF cycle. However, it’s my personal opinion than surrogacy is a treatment which is best reserved for patients whose uterus is absent or damaged. For most women who face the distressing problem of repeated failed implantation, the probability that there is a problem with their uterine receptivity is very low. This is especially when we have checked that their uterus is normal (with the help of a transvaginal ultrasound scan that shows they have a thick, trilaminar endometrium). This is why a uterus using a gestational surrogate makes no sense, because it cannot increase pregnancy rates. To use an agricultural metaphor- The seed has a far more active role to play as compared to the soil. Based on extensive research, we know that the reason for failed IVF cycles and recurrent miscarriages is much more likely to be a defective embryo (because of a lethal genetic defect), rather than an endometrial problem. Sadly, we still don’t have the technological ability to be able to document these genetic defects, and this leads to a lot of confusion. Thus, if an embryo fails to implant after PGS/CCS has shown it to be normal, patients jump to the flawed conclusion that the problem lies with their uterus that is “rejecting” the embryo. This is erroneous is because PGS/CCS only allows us to count the number of chromosomes – it cannot actually test the normality of all the genes! However, most doctors are more than happy to offer surrogacy as a solution; this also makes a lot of logical sense to the patient. They feel that if the doctor transferred good- quality embryos into their uterus and they were still unable to get pregnant, it proves that their uterus is defective and is rejecting the embryos. This belief is strengthened by all the hogwash that does the rounds of the internet about how immunological dysfunction causes recurrent implantation failure. It’s often very difficult for me to explain to the patients why surrogacy is actually not the right solution for them, and why they would be better-off opting for donor egg IVF or embryo adoption. Patients come to doctors with a number of preconceived notions, and they don't really want to engage in a debate with the doctor. Most would prefer settling for a doctor who is happy to do whatever they want. After all, they are willing to pay for the treatment, so why should the doctor object? What’s the Problem with Surrogacy? 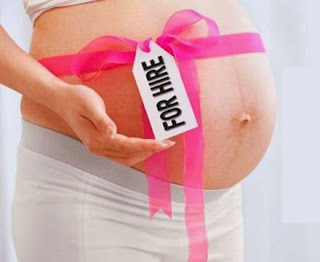 The problem with surrogacy is that it deprives the patient the joy of experiencing pregnancy herself. The unfortunate women who are born without a uterus don’t really have a choice in the matter; but it’s sad to see that ones who do, deprive themselves of this unique experience simply because of some preconceived misconceptions. I think my role transgresses that of being a technician; I am a professional and I need to offer my personal opinion. On occasion, my opinions may differ from that of my patient and some of them also get upset when I do this. They would rather find another clinic that accedes to their requests. Of course, it’s much easier for me to do this as well. I am aware that by educating my patients, I am actually turning away income. However, I think that it’s in their best long-term interests that they understand their alternatives, and then choose the option that works for them. Sadly, I find a lot of patients want to do surrogacy simply because they are fed up of going through the ups and downs of IVF cycles. They can no longer emotionally cope with this kind of rollercoaster ride, and would much rather outsource the entire pregnancy to someone else. What they fail to realize is that the implantation rate in a surrogate is not 100% either – and just because they are an arm’s length away, does not make the IVF treatment any easier for them. In fact, it can sometimes be scarier, because they are never sure what the surrogate is doing, and whether she is taking as good care of their baby as they would! The fact that they have unrealistic expectations of the success rate of the surrogacy treatment cycle causes lots of heartburn when the cycle fails, especially when they have spent so much money, and done it with such high hopes and expectations.